If you are interested in joining one of Bonita or Sunnyside’s clubs or teams you have found the right spot to start your search. Whether your passion is soccer, biking, gardening, running, or horseback riding we have a group for you. Please contact us if you are interested in having your team information posted here (your team must be based in the Sweetwater Valley community). AYSO is a nonprofit organization dedicated to positive child development through participation in a safe, fair, fun soccer environment. We’re well known for developing and delivering quality youth soccer programs which promote a fun, family environment based on our core philosophies. Bonita Bikers is a group of local mountain biking enthusiasts that is dedicated to recreational mountain biking and the ongoing improvement of our community’s trails. Are you a gardener? Would you like to learn about organic gardening? It’s a great time to Go Green! The Bonita Organic Garden Club has been helping area residents learn about gardening without pesticides and chemical agents for years! We meet monthly, all year round, and have speakers on organic gardening and related topics. We learn from them and from other members of our club, many of whom were doing organic gardening long before it became popular. We participate in the Garden Show at the San Diego County Fair and have won many awards for our displays. We have occasional, informal field trips to unusual places. Please join us to learn how easy it is to grow better plants and save the planet at the same time. It is a good way to meet new friends who love gardening and enjoy getting together. Fourth Tuesday of the month at 6:30 p.m. for a social get-together and meeting at 7:00 p.m.
For information and meeting location, contact our club President, Stephanie Reed, at 619-384-9882 or by email. Everyone is welcome. Members receive monthly newsletters detailing upcoming events and meet-ups. 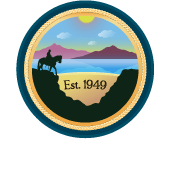 For more information email bogc@sweetwatervalleyca.org. Looking for support? Running partners? Training? Competition? Good people to hang around with? Well, look no further! We are an active group of people of all ages and running abilities who enjoy sharing our running experiences with each other. The Bonita Road Runners encourage the enjoyment of running through mutual support in preparation for training and racing. The Sunnyside Saddle Club provides a casual and friendly environment for all members of our community to show and ride horses. We are a non-profit organization and our profits are returned to our club for grounds and club improvements in an effort to keep the equine tradition alive in our community and surrounding areas. Our profits are also returned to members for Championship Awards at our year-end annual awards banquet.